She's been in and out of jail since she was 18. 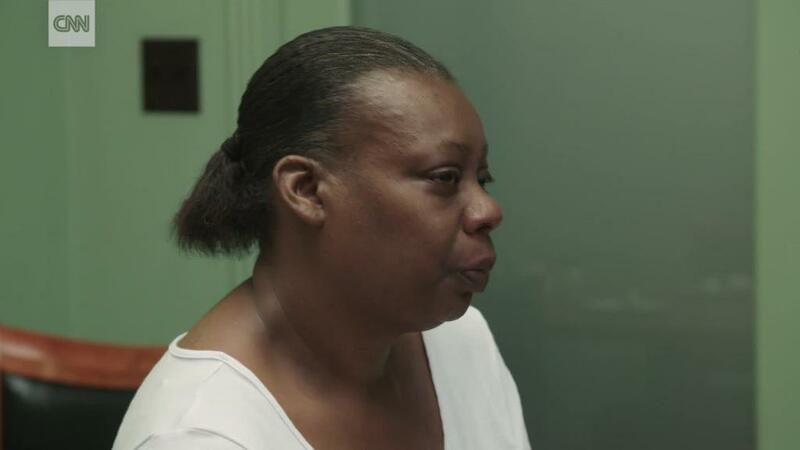 Every time she's been released, she's lost her disability benefits and her Medicaid coverage. That meant she couldn't afford her rent or her medication for her bipolar disorder until she was able to re-enroll, which could take weeks or months -- even if she went to all her appointments on time. "That would put me into a bad spell of being depressed, and my moods would be bad," says Stone, 37, over the phone from the Douglas County Jail in Omaha, Nebraska. "And then I would end up doing something stupid like shoplifting to get alcohol. It's just a vicious cycle." Federal rules prohibit states from billing Medicaid for any inmate care unless the covered individual requires a hospital stay of at least 24 hours. They also cut off Social Security and Disability payments and some veterans' benefits. Medicaid benefits are taken away as soon as a suspect has been booked into jail, whether they've been proven guilty or not. If they are convicted and incarcerated, Social Security and VA benefits disappear 30 and 60 days later, respectively. Some states simply suspend benefits, allowing inmates to pick them back up as soon as they're released. But 34 states still terminate enrollment either immediately or after the prisoner spends a certain period of time behind bars. Lori Stone runs intro trouble again when she gets out of prison and doesn't have healthcare. The department contracted with an outside company to provide a 60-day in-house treatment program, but most inmates don't stay long enough to go through with it. And once they leave, treatment ends — at least until they manage to get covered again by Medicaid or other insurance. "On the outside, if they didn't get their treatment, they'd come right back through the front door again," Dionne says. In order to smooth the path back to the outside world and reduce the strain on state budgets, 16 states and Washington, D.C. simply suspend Medicaid benefits and automatically reinstate them upon the inmate's release, rather than terminating enrollment entirely. That ensures newly released prisoners have coverage immediately, since re-enrolling can take weeks or months. 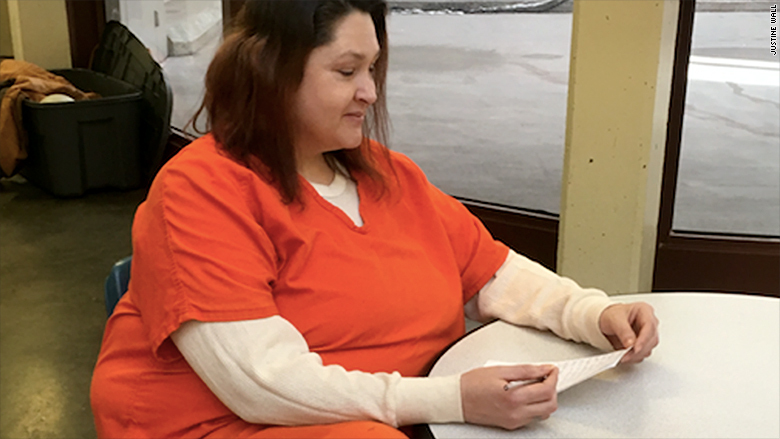 Another Douglas County inmate, Julia Conger, is a single mother of four children who was jailed in January for unlawful possession of someone else's debit card. She had been supporting her kids with her disability benefits, and they also received health care through her Medicaid coverage — both of which ceased when Conger went to jail. "It's causing my daughter pain," Conger says. "And it's terrible for me, not being able to do anything." 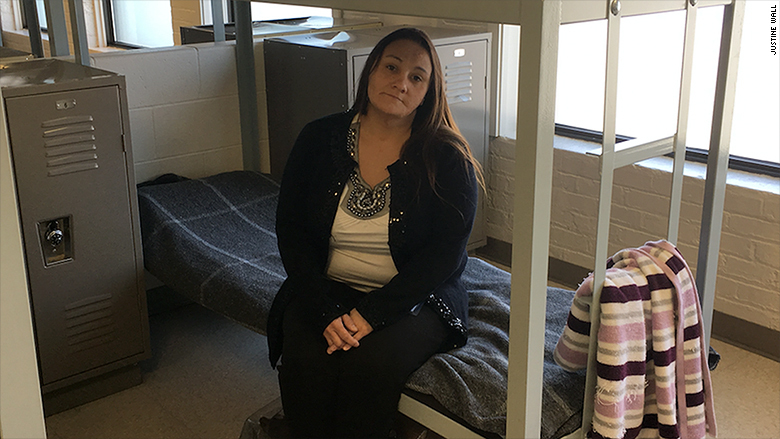 Julia Conger's disability benefits ended when she entered prison, which makes it harder to support her children. Given the expansion of Medicaid under the Affordable Care Act, the cost of health care in jails is a particularly large lost opportunity for local governments. If it weren't for the Medicaid and Social Security rules, the federal government would cover at least half of their expenses, which would especially be a relief for cash-strapped rural counties that have to bring in doctors from elsewhere and may not have the funding for expensive drug treatment programs. "They're going to be in crisis in a few years unless we find some alternative," says Ron Manderscheid, who heads the National Association of County Behavioral Health and Developmental Disability Directors. "What is the trade-off between operating our schools and spending this huge amount of money on the county jails for health care?" But spending more on health care for those who've run afoul of the law is a hard sell in Washington. None of those bills have progressed beyond introduction. The one that appears to have the best chance of passing is a measure sponsored by Ohio Republican Rep. Mike Turner that would allow Medicaid to cover an inmate's substance abuse treatments. "Where we're seeing current traction is the opioid epidemic," says Brian Bowden, a health policy expert with the National Association of Counties. "If you were starting folks on treatment before they're released, then you're not having that revolving cycle."